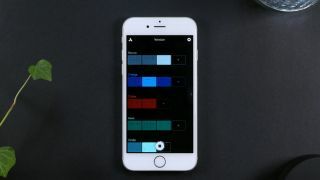 Auxy is one of the most clean and straightforward iOS sequencers on the market, making it ridiculously easy to sequence patterns and turn them into complete songs. It’s fair to say that the version 5 update focuses on sounds, and there’s a new pricing model to tell you about, too. To kick things off, there’s a new drum instrument that enables you to build custom kits – both from the included sounds and any that you choose to import. You can edit the parameters of individual drum sounds, too. In fact, all sounds are now fully tweakable, and the updated browser makes selecting them easier. What’s more, because all sounds and samples are now cloud based, you only need to download the ones you need in a project. You can use up to 20 instruments in each project. The other big news is that you can now subscribe to Auxy; the app itself remains free, but you can pay $4.99 a month (you can also choose an annual subscription and get a 20% discount) for unlimited access to all sound packs and samples, including those that will be added going forward. Subscribing also gives you the ability to import your own samples. You can download Auxy 5 now from the Apple App Store.